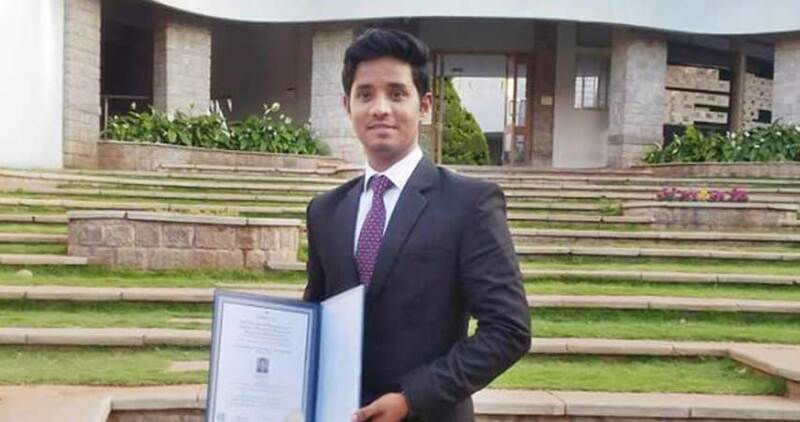 After completing his first year of MBA from SDIMD, Prashanth Raj came to Hegde School for his internship. “ While we are doing our MBA, we learn a lot of theoretical aspects, but it was during the internship at Hedge School that we got introduced to the practical and broader aspects of the concepts. The sessions by the faculty on various financial products who had deep knowledge and industry experience in the domain was particularly helpful. The classes were not taken by a professor giving us stiff looks but in a friendly atmosphere, and Benil Sir used various games to make the learning interesting. Everything from how the markets operate, to the meaning, working and managing of mutual funds truly opened up new ways of understanding the financial concepts. While doing the summer project, I got an understanding of the various methods and instruments used in the markets.” Further, Prashnath remembers, “ When I was sitting for my placements, the recruiter from Moodys asked me questions related to my internship experience. I could ace the interview, as I was able to easily explain the financial products due to the great learning from my internship. Everyone at Hedge is so helpful with any doubt we have – Whether it is Thampi Sir or Rajin Sir”. As part of investments, Prashanth has started doing SIPs in small amounts, invested some amounts in liquid funds as well as in stocks.